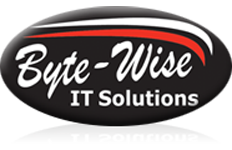 For more than 20 years, Byte-Wise IT Solutions has provided IT sales, installations and repairs for businesses across North Queensland. Headed by husband/wife team, Owen and Naomi Land, we stay up to date with the latest technological developments in the industry. From CRT monitors and floppy discs, all the way to present day, we have consistently expanded our skills and expertise in a range of areas, including IT maintenance packages and remote support. Thanks to our close relationships with a variety of renowned suppliers, we provide support for all sizes of networks, servers, video surveillance systems, and data and telecommunications systems. We are also the only Telstra Business partner in the Whitsundays area, which means we can consult with you on a range of suitable phone systems for your business. Our team will help you backup and restore files, upgrade servers, connect to a cloud system and much, much more. We pride ourselves on delivering outstanding customer service, as well as offering onsite and remote support throughout most of North Queensland, from Mackay to Townsville. Whether it’s hardware, troubleshooting or advice you require—our experienced technicians are always available. Concentrate on your business and let the Byte-Wise team deliver IT solutions you can rely on. Contact us today or visit our FAQs page. “It has been a pleasure to have been able to work with Byte-Wise IT over the last 5 years. Owen and his team have, during this time, consulted with us in implementing new software and hardware for our business, Whitsunday Food Service, and have been very proactive in advising and demonstrating ways in which we can streamline our processes in all areas, from emailing, phone technology and security, including CCTV. Our transition from our previous operations to the current system we now operate allows us to work at a higher corporate level with minimal technical limitations. Not only do they reduce so much of the administrative headache of running our business, they attend to any problems quickly and efficiently, and maintain our network so that we have fewer issues. Whilst we have had some big hurdles to overcome, they have been there every step of the way to ensure a seamless and more profitable operation for us in the future. They listen to all our concerns and offer real time solutions to make things happen, and fast. 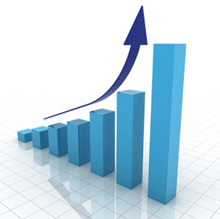 We could not rate their service to business owners or operators more highly. The peace of mind we have knowing they are on the job, and as a result of their work is something I would recommend to anyone.